Located at the junction of the Colorado Plateau, Great Basin and the Mojave Desert in Utah, Zion National Park encompasses 229 acres of diverse landscape. A few of the sites to explore nearby include sharp edged cliffs and mountain peaks. Exploration of these sites begins at the entrance of the park at the visitor’s center. A space with such beautiful natural surroundings deserves a flooring to reflect the surrounding beauty. 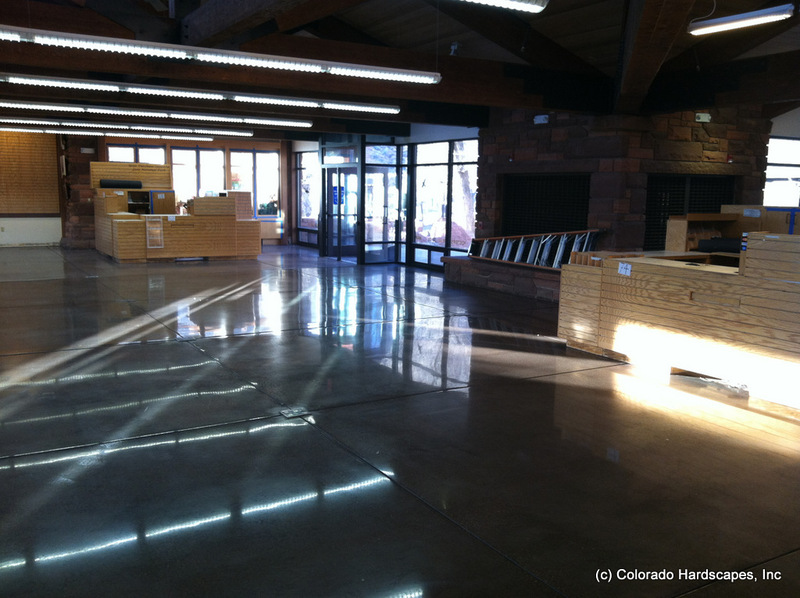 Colorado Hardscapes worked closely with the park’s service and Macdak Construction. 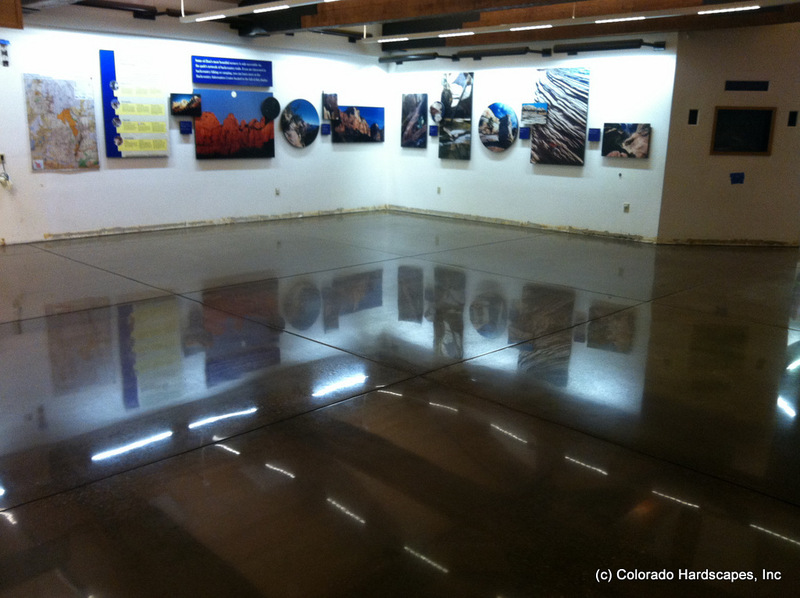 Together they came up with a plan to remove the existing floor and replace with Bomanite polished concrete. Coffee colored dye was added during the polishing process for a warm, earth-tone look. 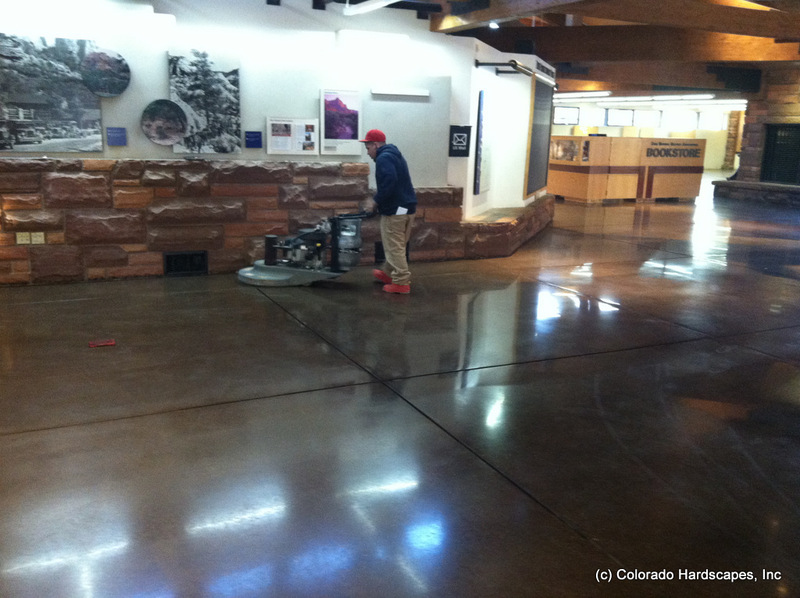 Colorado Hardscapes applied VitraFlor to seal the polish and dye as the final step in the Bomanite polishing system. 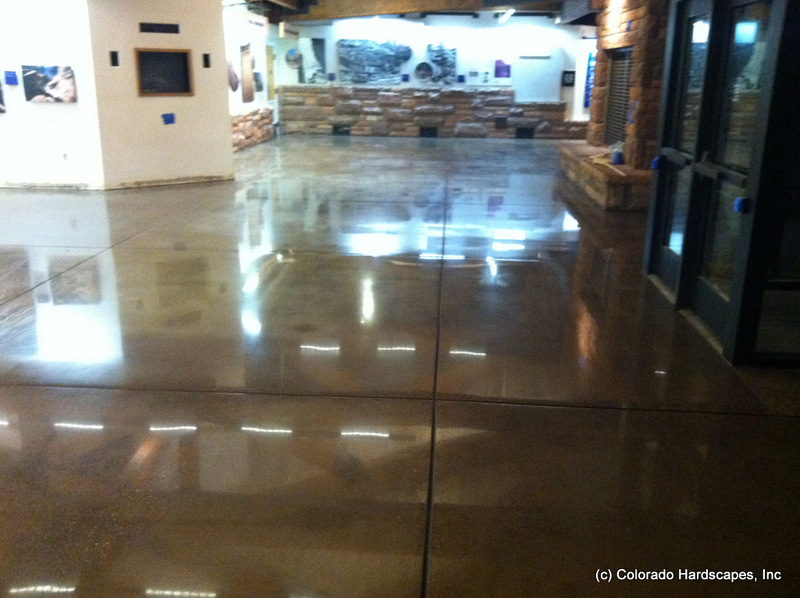 The uneven existing surface presented challenges for Colorado Hardscapes’ premium concrete flooring division, but once the surface was milled down and non-reactive dye was applied, the end result is stunning. After the other areas of the visitor’s center are complete, the doors to visitors will open in February 2013.